Flowering from June-September and sometimes all the way to the first winter frosts. 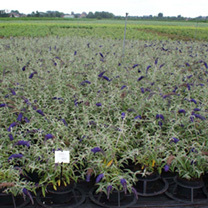 This dwarf Butterfly Bush usually grows to about 60cm (24") and is quite dense. Belonging to a series called 'Lo and Behold' it was developed by Raulston Arboretum, North Carolina, USA. It has fragrant flowers and is butterfly friendly. Also the leaves are a greyish-green. Flowers July-September. Height 40-50cm. Supplied in a 7.5-10 litre pot. Flowering from June-September and sometimes all the way to the first winter frosts. 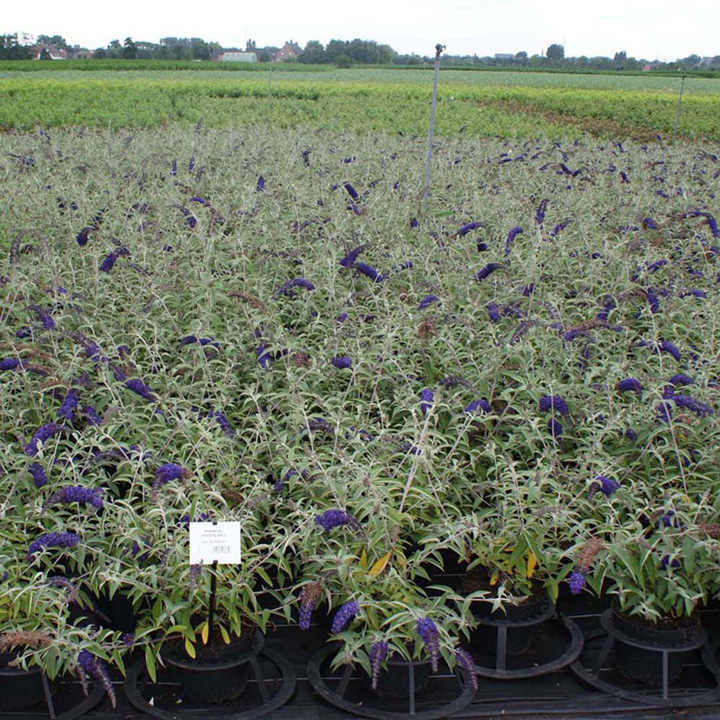 This dwarf Butterfly Bush usually grows to about 60cm (24") and is quite dense. Belonging to a series called 'Lo and Behold' it was developed by Raulston Arboretum, North Carolina, USA. It has fragrant flowers and is butterfly friendly. Also the leaves are a greyish-green. Flowers July-September. Height 40-50cm. Supplied in a 3 litre pot or 7.5-10 litre pot.